MTA Fillapex is a mineral trioxide aggregate-based, salicylate resin root canal sealer. It is designed to provide a high flow rate and a low film thickness for easy penetration of lateral and accessory canals. It contains 13% MTA and salicylate resin for their antimicrobial and biocompatibility properties. The working time is 23 minutes with a complete set time is approximately 2 hours. 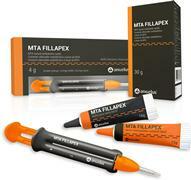 MTA Fillapex is a two-paste system and is provided in a 4 g automix syringe and 30 g tubes. MTA Fillapex was evaluated by 28 consultants in 438 uses. 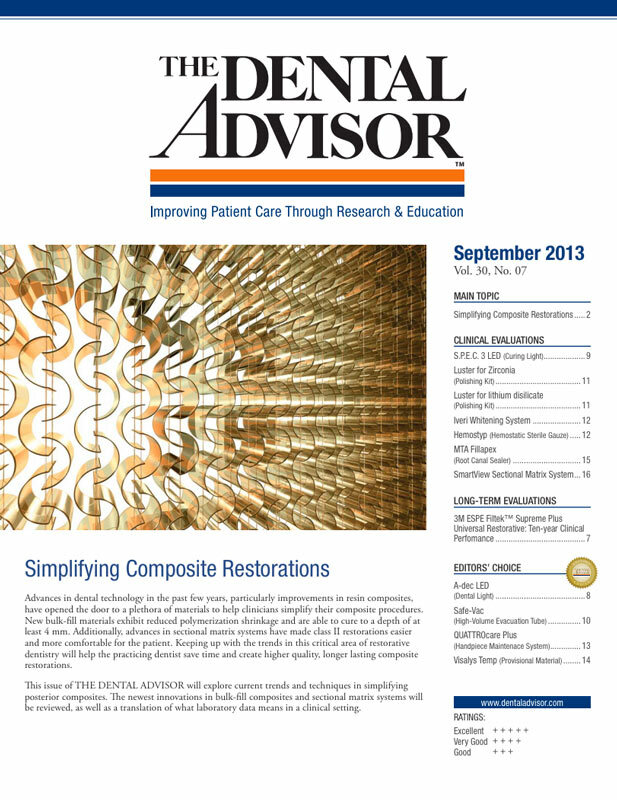 This root canal sealer received an 88% clinical rating. MTA Fillapex mixes to a creamy consistency with a high degree of flow. It coats gutta percha and canals without exhibiting stickiness. Working and setting times are adequate and fulfill requirements of ISO 6876 for Root canal sealing materials. Based on positive past experience with MTA, consultants were enthusiastic about its inclusion in a sealer paste. A significant amount of the product was required to fill the automix tips, and the low viscosity paste oozed out of the tip after mixing. MTA Fillapex is also available in tubes. Twenty-one percent of consultants rated MTA Fillapex better than other root canal sealers they were using and 36% rated it to be equivalent.